You’ll enjoy this film far more than the title suggests. (Unless, of course, you’re the type who searches out lo-fi, indie documentaries in which case you’re already intrigued.) Ostensibly a film about Christian wrestlers in South Carolina whose matches are part WWF and part revival meeting, Wrestling for Jesus tells the story of faith gained and lost. I cringed repeatedly while peaking into this odd Christian subculture but director Nathan Clarke ensures that no person in his film becomes a caricature. The film masterfully avoids all forms of cynicism and condescension. 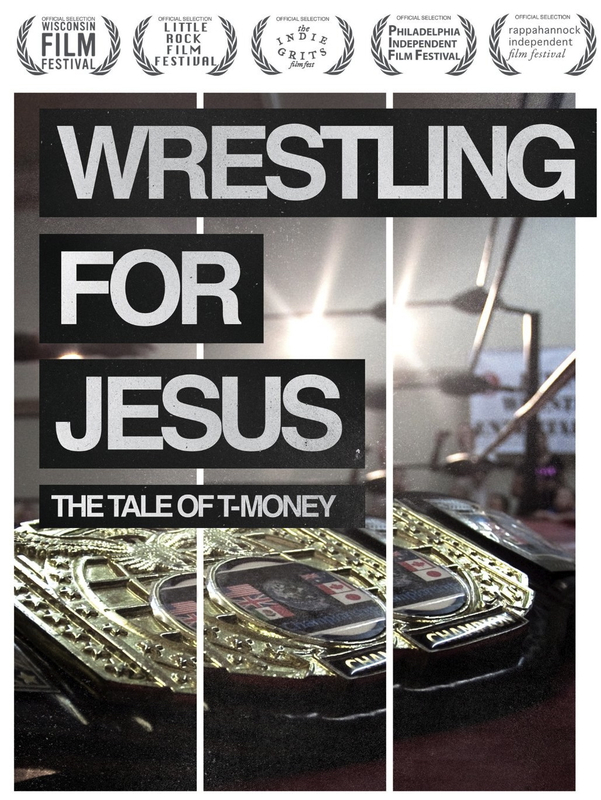 Timothy Blackmon is the compelling and fractured character who heads the Wrestling For Jesus organization, wrestling under the name of T-Money. Haunted by his father’s suicide and driven to use his passion for wrestling to evangelize, Blackmon is forced to navigate an increasingly perilous world, including a difficult marriage and competition with another wrestling league. The staged wrestling in the ring begins to pale next to T-Money’s real life troubles. Wrestling For Jesus can serve as a case study for a common tendency among certain evangelically-oriented Christians. For Blackmon and his fellow Christian wrestlers, wrestling is a means to an end. Each match ends with a preacher standing in the ring issuing a heart-felt invitation for the small crowd of spectators to accept Jesus. The altar call is the real hook; the wrestling, as entertaining as it may be, is simply the bait. This bait and hook tendency can be found throughout much of American Christianity and the film shows some of its significant deficiencies. Even so, the way the story is told, we cannot judge Blackmon or his companions. His passion and pain invite us into his world, whether or not we relate with his faith or circumstances. Find this film, watch it with some friends, and enjoy the conversation that is sure to follow. I received a review copy of this film from the producer. I imagine the wrestlers in this film would agree with your sentiment Mark.